« Why can’t I psexec with EXE::Custom? Recently, I’ve had several questions about how to set up infrastructure for long running red team operations with Cobalt Strike. This is an ideal use case for Cobalt Strike. In this post, I will reiterate the advice I’ve shared with these users. You will need to set up infrastructure to use for your engagement. I recommend that you host each piece of attack infrastructure on a VPS. I’ve used Linode and Amazon’s EC2 for this purpose. Make sure you factor the cost for multiple VPSs into your assessment budget. I do not recommend that you setup a reverse port forward through your office’s NAT device. It’s in your best interest to minimize the number of devices and weird configurations between you and your target. It’s enough effort to guess what their network is doing, you don’t want to add troubleshooting your devices into the mix. Attack infrastructure, for the purpose of this blog post, comes in two flavors: team servers and redirectors. A team server is the server component of Cobalt Strike. It wraps the Metasploit Framework, connects to the database, and manages Cobalt Strike’s features. Multiple people may connect to a team server at one time. I also make the Cobalt Strike client available for Windows, MacOS X, and Linux. You will want to follow the Cobalt Strike system requirements when you spec out a team server. I recommend 2GB of RAM, but you can get away with 1.5GB or more. On Amazon’s EC2, I use the c1.medium instance with 1.7GB of RAM. I like to set it up with a 64-bit flavor of Ubuntu 12.04. Cobalt Strike’s quick-msf-setup script makes it very easy to set up the dependencies for a team server. This script is distributed with the Cobalt Strike Linux package. Run quick-msf-setup, choose your install preference, and everything else is taken care of for you. I use quick-msf-setup’s Git option to stage my dependencies. A redirector is a system that proxies all traffic from your target’s network to a team server system. Redirectors give you IP diversity. You may configure listeners for Meterpreter and Beacon that call home through different redirectors. Beacon will phone home through multiple redirector addresses if you tell it to. I get away with low powered servers for my redirectors. An EC2 micro instance is fine here. I also recommend that you obtain several domain names to use for your engagement. You will want to assign A records that point to each of your redirectors and team servers. If you choose to use the DNS Beacon, you will want to make its team server authoritative for multiple domains. I’ve seen attack infrastructure proposals that rely on one team server supported by multiple redirectors. This could work, but Cobalt Strike lets you take it one step further. The Cobalt Strike client connects to multiple team servers at one time. Each server may have its own listeners supported by its own set of redirectors. I recommend that you designate a role for each team server that you stand up. When I setup infrastructure, I group my servers into three categories: long-haul, staging, and post-exploitation. Long-haul servers catch callbacks from hosts that you’ve setup persistence on. I call these servers long-haul because they’re meant to maintain long-term access into your target’s network. I use Cobalt Strike’s Beacon payload for long-term persistence. Beacon will call home to multiple servers, it speaks multiple protocols, and it’s designed for asynchronous “low and slow” operations. These are nice characteristics in a persistent agent. Cobalt Strike’s Beacon does not have a turn-key persistence mechanism. If I put one in, everyone would know what to look for. You may export Beacon, without a stager, in a variety of formats though. I recommend that you architect a persistence strategy that makes the most sense for your engagement. Every access on a long-haul server should come from a persistence mechanism. This allows you to monitor the status and health of your compromised systems. If a system isn’t calling back, it means it’s down or something is wrong with the persistence. This is your cue to investigate. Long-haul servers are designed for long-term access to a target’s network, not necessarily convenient access. I recommend that you configure your Beacons with high callback times. Consider a 24-hour callback interval with some randomization. If a staging or post-exploitation action gets caught, you don’t want an indicator from that communication to lead to your long-haul infrastructure. Cobalt Strike’s Malleable C2 is a boon for these situations. Malleable C2 lets you redefine the indicators in Beacon’s communication for each team server. Profiles take five minutes to write and test. Make sure your long-haul profile looks different from other profiles you use. You may configure a default sleep time and jitter [randomization] factor through Malleable C2 as well. I like to run two long-haul servers. I use a DNS Beacon on one server. I use an HTTP Beacon on another. I find that the DNS Beacon with a high sleep time and multiple domains offers a great challenge to professional network defense teams. The DNS Beacon uses one A-record request to an attacker controlled domain to “phone home”. One A-record request every 24-hours is quite benign. The purpose of the long-haul servers is to keep a foothold in a target network or enclave. You do not want every compromised system to call home to this infrastructure. I recommend that you architect two persistence strategies. Let workstations beacon home to your attack infrastructure. Come up with something else to maintain access to compromised servers. You do not want high-value compromised servers calling out to your long-haul infrastructure. Staging servers are an intermediate level of infrastructure between long-haul persistence and interactive post-exploitation. I use staging servers as a convenient place to hold access to systems I plan to work with in a short period of time. I use Beacon on staging servers with a sleep time that’s high enough to avoid detection but low enough that it’s convenient to use. When I task access from a long-haul server; I almost always task the access to a staging server. Tasking an access means asking Beacon to spawn a session on another server when it checks in next. This is something built into Cobalt Strike’s workflow. I recommend that you set up one staging server with its own redirectors to start with. If it gets caught, that’s OK. Spin up another one in its place. Post-exploitation servers are for interactive access to a compromised host. By interactive access, I mean a payload that calls home every minute or faster. This is Meterpreter and Beacons with a low sleep time. Interactive access has its uses. You can pivot third-party tools into your target’s network and you get immediate feedback on your actions. Request interactive accesses from your staging servers. When I use a post-exploitation server; I tend to tunnel my Meterpreter sessions through Beacon rather than rely on the Metasploit Framework’s native handlers. During your long engagement you will need to manage software updates carefully. I recommend that you never update a production team server during an engagement. I work a lot on Beacon and I regularly break backwards compatibility with Beacons from previous releases. Be aware of this! If a Metasploit Framework or Cobalt Strike update includes compelling features; feel free to introduce new software to your engagement. Just do it through a separate team server. Post-exploitation and staging servers are very transient and there’s no reason for these to stay the same for the length of your engagement. Make sure you’re careful with those long-haul servers! If you need to update these, create new infrastructure with updated software, and reapply your persistence with the new long-haul servers as the target. Keep the old infrastructure available until you’re 100% confident that everything is moved over. I get asked about licenses and team servers. Cobalt Strike is typically licensed to X users in an organization. Users with a Cobalt Strike license are allowed to use the software on as many systems as necessary to do their job. Team servers count in this. Team servers are not a new user. So, if you have one license and one user, you’re welcome to spin up as many team servers as you need. If you have thirty licenses [you’re awesome!] and thirty users, you’re welcome to spin up as many team servers as you need. These are my notes on setting up long-running attack infrastructure with Cobalt Strike. You’ll notice a lot of Cobalt Strike features play into this scenario. The distributed operations capability allows you to manage multiple servers. 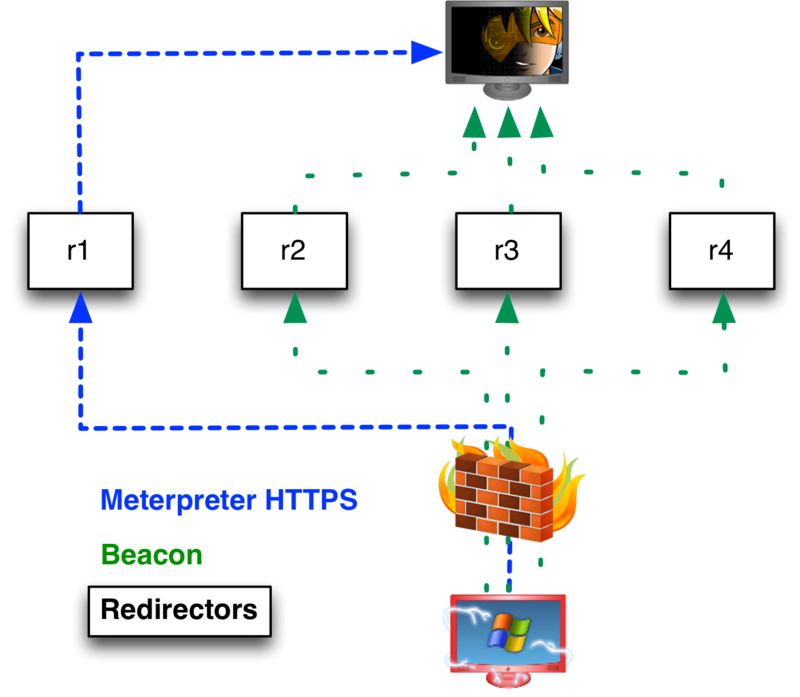 Beacon is a flexible agent that works as a persistent agent, acts as a placeholder for interactive accesses, and even offers an alternate communication layer. Better–you can customize Beacon’s C2 so each of these uses have their own indicators. This isn’t by accident. Managing accesses across distributed infrastructure in a team friendly way is Cobalt Strike’s bread and butter. Tradecraft, part 9, speaks to some of the concepts in this post. Thanks for the write-up. Are there any TOS issues that you could run into with running this type of infrastructure on Linode or AWS? 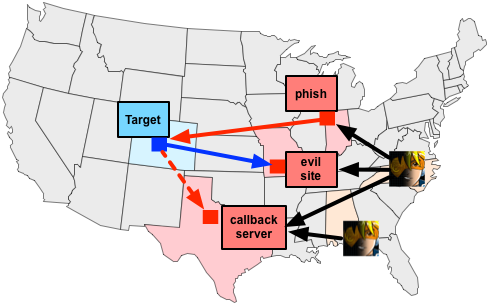 When I describe ongoing red team operations, please understand, that I’m describing how to catch and manage callbacks. This is a separate activity from launching scans, exploits, or DOS attacks. For Linode, I’d open a support ticket. This is good stuff. I have been playing around with Cortana and I see that it is pretty easy to run meterpreter commands automatically after a new meterpreter session comes up. Is there a way to do the same thing with Beacon. So whenever a new beacon connects run command x to set up persistence. So this way if you are running a phishing campaign and a user opens your beacon payload at 1 am you dont have to worry about checking your teamserver every hour to set up persistence manually. Glad to hear Agio is having a good experience. Making Beacon scriptable, via Cortana, is in the roadmap. It’s quickly gaining priority as there are a handful of organizations putting themselves through great pain to use my internal RPC APIs to script Beacon today. I can’t guarantee when I’ll have Beacon scripting in the tool; but I expect to pick up the planning work for this feature after I ship the next update.